Coronado by Meade SolarMax II 40mm Solar Filter set with RichView tuning system. 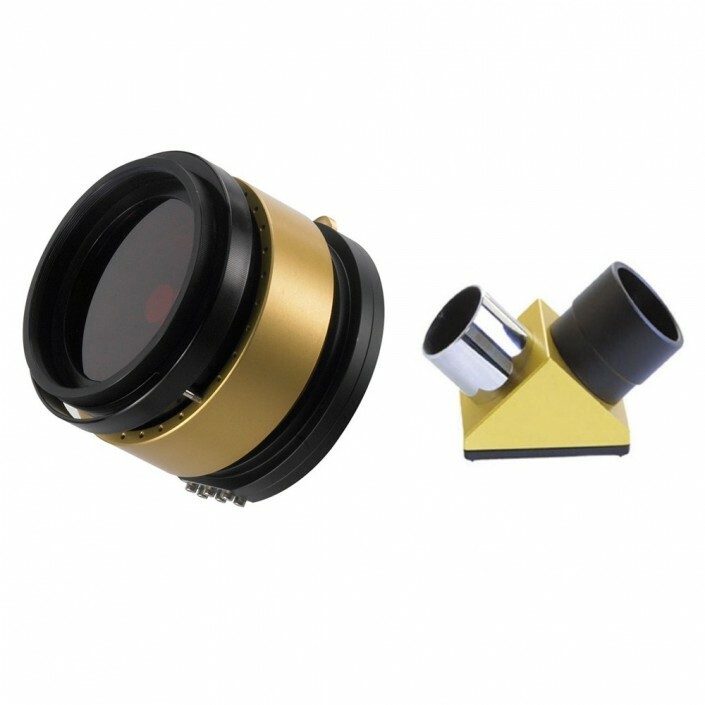 Includes 40mm diameter primary H-Alpha etalon filter with sub 0.7 angstrom bandwidth and 5mm Blocking Filter. Recommended for telescopes with a focal length of 500mm or less to provide a fully illuminated image on the solar disc. The stunning bright red views through a Coronado Ha telescope display astounding surface and limb detail especially when the Sun is in an active phase. The sun is now heading for Solar Maximum, when activity will be at its best. Don’t miss out! !